The Poker 3 from Vortex gear is something you gravitate towards, it is not for everyone and it does take some time to get used to. It has many quirks to the layout and is optimised for set-ups that have limited space. 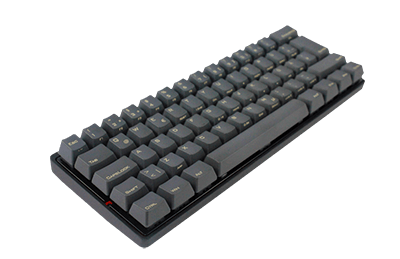 This Poker 3 comes in Cherry MX Green, Black, Blue, Brown, red and Clear switches, with either a full white or two-tone black bezel with dark grey PBT key-caps. The bezel is low-profile and is made from cast aluminium. 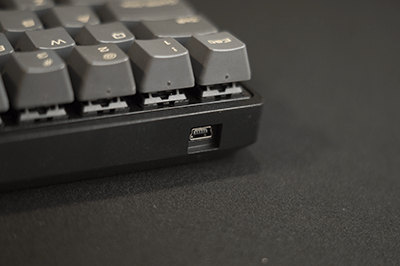 The Poker 3 sports a hefty metal bezel which is hard to push about the desk, and still has the cut out in the bottom for the 4 dip switches to customise the key layout. These dip switches help you customise the functionality of a number of keys, allowing you to move keys to alternate positions. 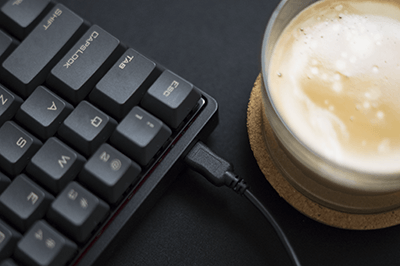 This is great for optimising it to your typing style, although there are pre-defined options it does add that something else to the keyboard that very few vendors allow you to do without software. Speaking of software the only software you can download for the keyboard is the firmware update tool. See the support section of their website for more details. Switches 1 and 2 allow you to change the layout from Qwerty to either Colemak or Dvorak. Switch 3 allows you to change the caps lock key into another Function key (which I think is a fantastic idea). Switch 4 allows you to make both the Function and Programme keys. There are a number of design aspects that have gone unchanged from Poker II that I wish they had changed. 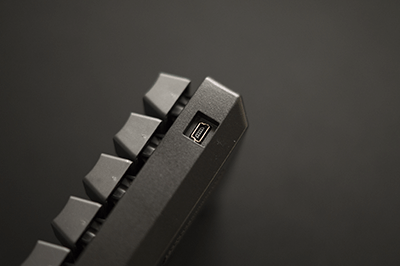 The first being the position of the mini USB connection. The connection is exposed in the back left of the keyboard and leaves the cable is an exposed position that I feel is easy to bump or damage. I would imagine that after a number of heavy hits you are going to end up with a damaged female mini USB connection. 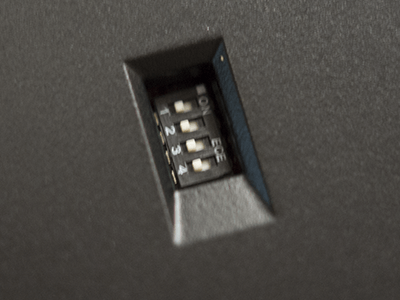 The keyboard is so compact that there are very few other places that they could put the connector but still... I wish they could have found a way to recess the connection or move it under the keyboard somehow. A right-angled mini USB cable would probably help reduce the chances of damaging the cable and connector. The second design choice I have an issue with is the fully exposed keys on the very edges of the keyboard. I feel that if you transport the keyboard to and from work you run the risk of damaging the keys that are on the edge of the keyboard. Yes, this design does make it easier to clean it but you will have to think of a safe way to transport it. No, the original packaging won't last long if you use that repeatedly. I'm sure some enterprising person will come up with a cover to address this concern.